The Minister for Health and Medical Services Dr Ifereimi Waqainabete acknowledged the services of the Community Health Workers in Dawasamu and encouraged them to continue their hard work in serving the people. He met the health workers in Tailevu while visiting the health facilities in the Korovou health sub-division. Community health workers are trained to advise people on matters around primary health care such as nutrition and the early pick up of childhood conditions which will help children grow better into responsible adults. The Ministry of Health aims to promote wellness, strengthen its primary, secondary and tertiary health care and as part of its wellness program, community health work is very important. It addresses those parameters which determine society’s wellbeing. Hon. Minister Dr. Waqainabete said community health workers are not Doctors and Nurses but they advocate for wellness of the people and this forms the partnership between the various bodies in the health fraternity. “Partnership in delivering healthcare remains paramount. Addressing the Social Determinants of health, wealth and prosperity results in living life in productive ways,” he said. The community health workers are now paid an allowance of $200.00 a month for rendering their valuable services. Hon. 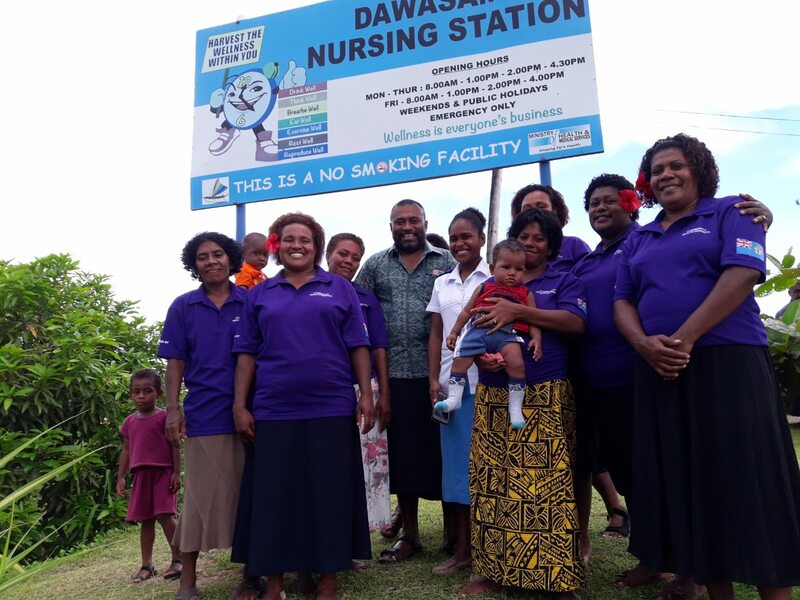 Dr Waqainabete also visited Minister also visited Driti village to present his “I Sevusevu” to the Vanua, and discuss with the villagers matters of concern pertaining to health that would need partnership of the Vanua. He further reiterated the vision of going back to old school Public Health as the strategy of addressing Primary Health Care today. “This is possible and will need the immediate partnership of the people and the Vanua to make it happen,” Dr Waqainabete said. Meanwhile in view of the population density at the Dawasamu Nursing Station, the Hon. Minister has ordered for an immediate upgrade of services at the Nursing Station, and to facilitate that, a Medical Officer from Tailevu Hospital will be operating at the Nursing Station daily from 8am – 11am from Monday to Friday. This will ease a lot of burden on the single Nurse that manage a population of 2400 at the Dawasamu Nursing Station.